The CSR projects our hearts pound a little extra for. Over the years, our employees have passionately turned the money from The Greencarrier Spirit Fund money into several successful and rewarding projects. Here are some examples of what we do at Greencarrier Liner Agency. We collaborate with Mitt Liv (My Life) in Gothenburg, Sweden where three of our staff members are proud mentors of a programme that helps people with foreign background enter the Swedish labour market. The programme involves meetings, seminars and training opportunities as well as practising of the Swedish language or discussing day-to-day challenges. So far, we have helped two mentees to new jobs relevant to their education. To us, this is really important, as we believe in diversity and inclusion across all aspects of, not only our business, but in society in general. The Football School Metta has a special philosophy of teaching not only the game, but also discipline and attitude for life. Together with Metta, Greencarrier in Latvia has created a fund to support children in families that want their children to play football, but cannot afford to let them. By doing this, we hope to help these children stay away from the streets and instead have fun playing football together with other children. Save the Children in Sweden runs a national project called On Equal Terms. 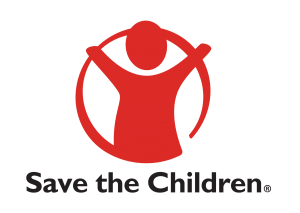 The purpose is to establish a long-term initiative for children’s rights in socially and economically deprived regions. Greencarrier supports this project by visiting Hjällbo, a suburb to Gothenburg, two days a month to help children in grades three to five with their homework. We also pay part of the rent of the premises, thus contributing with both time and money. This is very important to us, as we believe children should be able to benefit from homework support or other activities in their immediate surroundings, whether it is in the suburb or the city. Marine pollution is one of the most serious threats to our oceans. 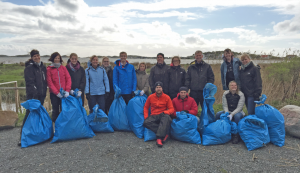 In June 2015, Greencarrier in Gothenburg organised Greencarrier Clean-Up collecting and sorting litter from the beach in Billdal. By doing this, we hope to bring up some thoughts and reflections about how we all can make small changes in our lives towards a large positive change, and perhaps also influence others to reduce the amount of trash through shared grass root efforts. Greencarrier in Denmark supports Danish Hospital Clowns, which is a similar organisation with the same purpose. Contribution to providing joy and happiness into the lives of sick children is very important to us, as we believe every child should be entitled to a smile, whether sick or not. Also, Greencarrier in Lithuania supports an organisation called Red Noses. The Red Noses are professional actors dressed as clowns that regularly visit sick children in hospitals. They communicate with the kids using “clown therapy“, a worldwide recognised and scientifically proven method leading to anti-inflammatory and stress-reducing effects. In Sweden, Gothenburg, we contribute to The Rescue Mission of Gothenburg’s work for the homeless by paying part of a field worker’s salary. We also take part in their network meetings. For several years, Greencarrier staff has collected Christmas gifts for people in need, and in 2014 staff also helped sell gingerbread houses at the Christmas Fair Liseberg, in support of their work with the homeless in Gothenburg. Everyone has the right to a dignified life, and by supporting the homeless we may help them avoid situations which lead to aggravating the vulnerability of people, like abuse of alcohol and other substance abuses.